With over 100 million units sold worldwide, the Samsung Galaxy series has become the biggest success story on the mobile front. The Korean-based electronics giant has gone on to release a new flagship phone each year, blowing away the competition and doing something we thought was almost impossible: put the heat on Apple. 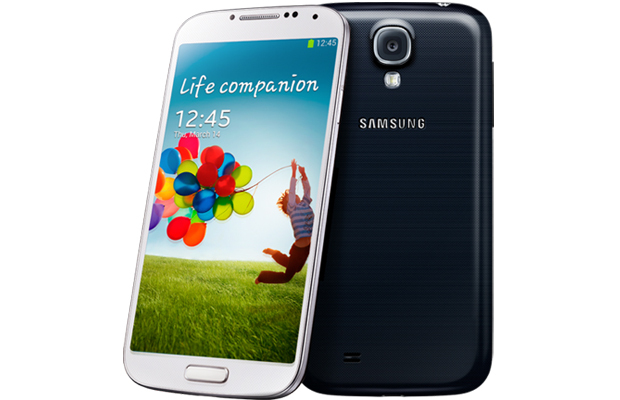 Backed by the massive sales figures of the Galaxy S3 and Note II, consumers have yearned for the company’s next-gen device over the past few months. And it’s finally arrived just in time for the summer. Introducing the Samsung Galaxy S4. 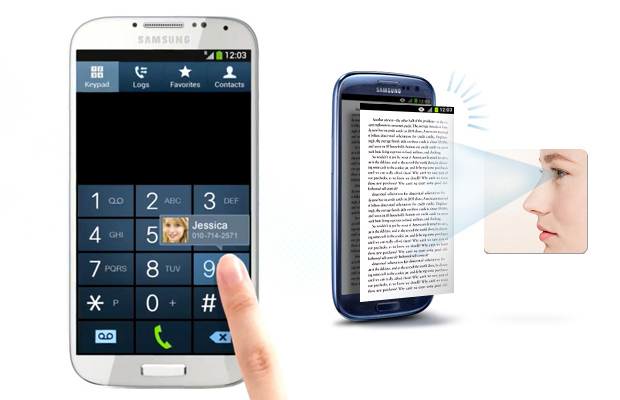 The handset has gained an insane amount of buzz for its motion-gesture technology and powerful spec sheet. But the spotlight’s been more focused on the battle between the latest Galaxy phone and it’s biggest threat, the HTC One. Since dropping one month apart from each other, the two companies have made it known that they’re aiming for the No.1 spot. Now that the GS4 has officially hit the market, the question is whether Samsung can stay atop of the Android throne with its newest creation? Samsung’s given its fairly received TouchWiz UI a much needed upgrade, and alongside Android 4.2.2, the new software and functionality make for a better user experience. One of the more popular features introduced is Air View, which allows someone to use their finger to hover over and access information. Air Gesture lets you maneuver through the phone without even touching the screen, plus S Translator acts as a personal interpreter that (what else) translates text when aiming the camera over words, converting it into a variety of different languages. Another cool app is WatchOn. This feature transforms the S4 into a universal remote and does more than just allow you to change channels on the cable box. Users can select different categories and accept recommendations from the entertainment hub, also view what friends are watching by clicking on the Social option. So the big question is whether these new features work properly. Surprising, some do. Air Gesture did make it easy to answer calls while I was eating by simply waving my hand across the screen to answer. An WatchOn was pretty accurate in reading our touchscreen commands and mirroring it to our HDTV. So the S4 doesn’t sport the booming front-facing speakers found on the One. It still delivers pretty good sound when listening to music and watching Netflix. Those who experienced the weak audio on the Galaxy Note II will see the company did put in work to enhance the listening experience. The majority of smartphone owners utilize their devices for multimedia purposes. So if downloading media files is your thing, Samsung has you covered via three memory options (16GB, 32GB, and 64GB) and built-in microSD card slot for expanded storage. Watching movies on this thing is a huge plus thanks to the gorgeous 5-inch FHD Super AMOLED plastered in the front, which delivers clear colors and viewing angles. Seeing how digital cameras are becoming (to an extent) obsolete, today’s consumer market is becoming more reliant on their smartphone to capture Kodak moments. The S3 camera ranks up there with the best as it shoots great photos and video. But the image quality isn’t the only thing that stands out here. The 13MP shooter is powered by dynamic software that offers a variety of features sure to give some of your favorite Android third-party apps a run for its money. Dual Shot takes pictures with both cameras simultaneously, creating a picture-in-picture effect. Eraser has to be one of my favorite options, letting you remove unwanted objects from an image and enhance the picture quality. Sound and Shot also allows a still image to be paired with an 8-second audio clip. There are a ton of dope features and filters found on the backend. When purchasing a new smartphone, the first thing that stands out is the look of it. And this is the one area where Samsung’s fallen short. 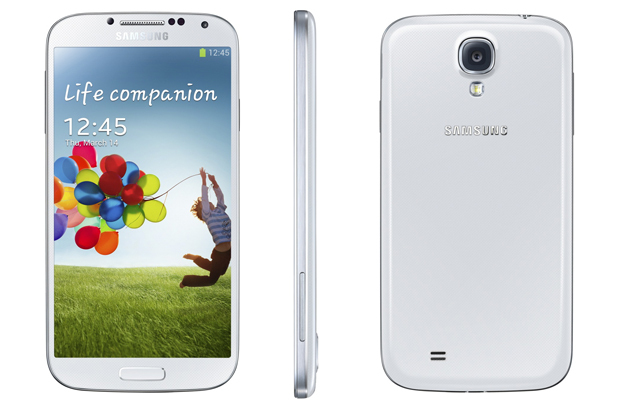 The S4 shares a near-identical resemblance to the S3, minus the new hologram design. Aside from the 5-inch panel, you really won’t be able to tell notable differences between the two models without really getting a hands-on feel for it. The only true way to convince people you have an S4 is by showing off the phone’s hi-tech features. HTC made waves with its sleek aluminum design on the One and if Samsung wants to stay ahead of the curve, they need to switch up the fashion of the next Galaxy phone. Those who look at the spec sheet see phone vitality billed at 17 hours of talk time. However, most people aren’t using their handsets to talk these days. It’s all multimedia, texting, and web browsing. The battery life here drained quickly when engaging in a majority of the S4 features like Multi-Window and Smart Scroll. I work from 8am – 6pm on the regular and noticed the power bar sitting at 36 percent. Not a huge deal, but pretty disappointing when considering we’re talking about a 2600 mAh Li-ion cell. Samsung has dominated the Android market and continues to be a stand out thanks to innovative software (AirVeiw, S Translator, etc.) and powerful hardware specs (13MP camera and 5-inch FHD Super AMOLED). Unfortunately, the only thing holding the Galaxy series back at this point is the design. Other companies like HTC and Motorola have made the effort to construct smartphones from high-quality materials, giving owners a sense of luxury when clutching onto the device. On the other side, Samsung has continued to run with its signature cheap-plastic look that has turned off mobile experts and consumers as of late. Other than that, the S4 is a really great addition to the Galaxy franchise, though it’s not the huge game-changer Samsung was billing straight out the gate.